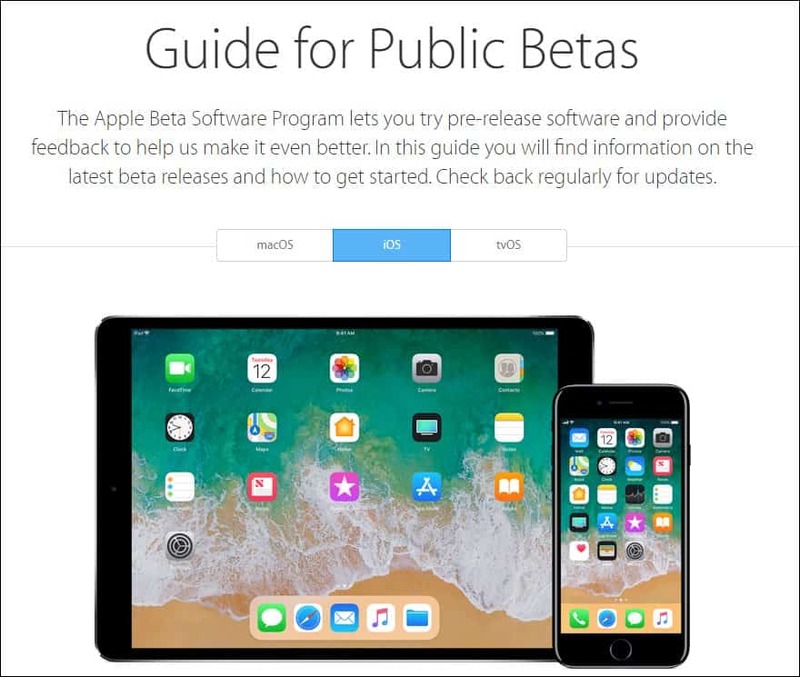 If you’re an early adopter and can’t wait to get your hands on features announced at WWDC this year, here’s how to join Apple’s Public Beta Program. Apple this week held its annual WWDC developers conference where the company showed off the new features that are coming to the next version of iOS, macOS Mojave, watchOS, and tvOS. If you’re an early adopter and can’t wait to start testing the new versions, you might want to consider is joining the public beta program. Previously, you needed to pay for the Apple Developer’s Program – which is $99/year – to get early access to the beta builds. Now, the company is offering a public beta program. The new versions of each of Apple’s new OSes will be available in the coming weeks (sans watchOS), but you can sign up now to get your spot. Just like with Microsoft’s Insider Program, you don’t want to put these beta builds on the main devices that you use every day. Typically, beta versions of any software are incomplete and buggy. Which is the nature of the program — so users can report bugs and the developer team can work on fixes. This helps the company work out the kinks before finalizing the OS and rolling it out to the public. So, you’ll want to run this on a spare compatible iPad, iPhone, Mac, or Apple TV. What’s compatible? Well, Apple says any device that can currently run “xOS 11” will work with 12. If you have an old 4th gen iPod touch laying around, well, that’s just not going to work. For Mac, the situation is a bit worse, it varies, but in general, it will not run on a Mac is older than 2012. To get started, head to beta.apple.com and sign in with your Apple ID. If you have two-factor authentication enabled, you will, of course, need take the extra step to verify you’re you. Then you need to accept the terms of the beta software agreement. After you’re in, keep checking back to see when the new version is available. Whichever OS you’re trying out, you’ll need to enroll your device first and there is a guide provided for each system that walks you through the installation process. We’ll be taking a closer look at some of them after the new OSes are made available. I plan to run it on an iPad and Apple TV. It’s important to note that watchOS isn’t an option in the public beta program. If you want to try out new versions of watchOS 5, you will need to join the $99/year developer program.